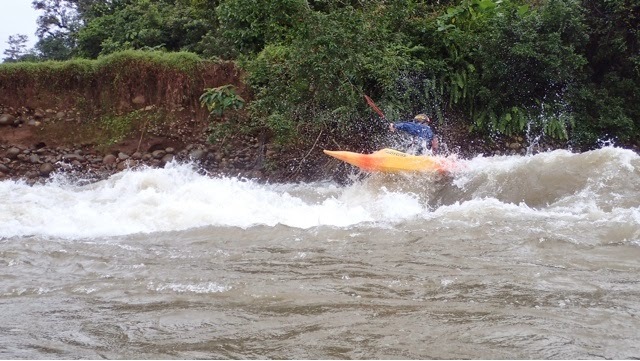 THE PURPOSE OF KAYAKING by Daniel T. Young | DBP MAGAZINE ONLINE The World's Best Free Whitewater Publication. The purpose of kayaking, for me at least, is to relax in a way I can’t normally obtain, and to push my limits physically, mentally and emotionally. In life it is important to find a vessel to transport ourselves away from the often painful reality in which we have surrounded ourselves with. 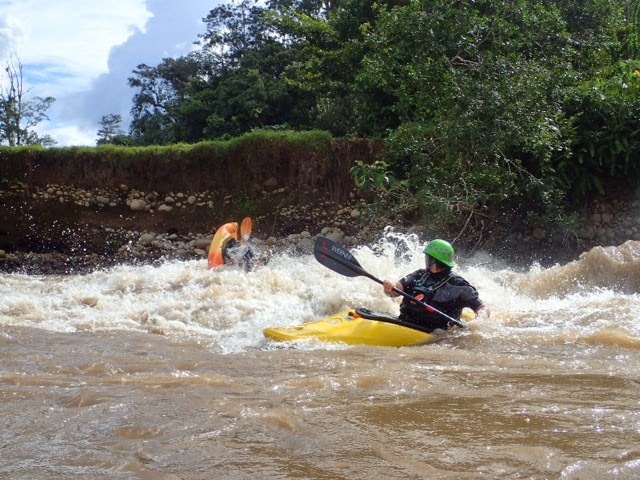 To allow kayaking to detach you from your everyday restraints can truly be a liberating experience. With the type of meditation we can obtain through kayaking, we can transport ourselves down the river with a mentality that is far from the one we hold at home, at the office… off the river. Leaving behind the stress, the tension, the bills, the boss, we can focus, without concentrating, on the river and on charging. With this focus, or rather lack of, the human body is capable of truly amazing things. This is easy to see now with the advancement of camera technology and accessibility to internet worldwide. With this focus we are able to channel all of our energy towards the flow of the river. To become one with this mindset, to become one with your vessel, to become one with the flow. The ability to use this meditation technique to overcome fear is important on and off the river. When combined with Logical Progression this ability to clear your mind can lead to new horizons in your paddling. 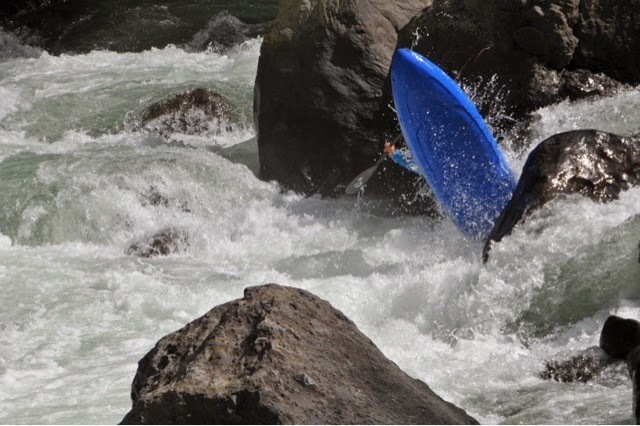 Becoming comfortable on a run, you can start to find new challenges within that run, like the difference between just running down the main current on Flipper on the Ocoee river, for example, or picking your way through the slots and eddies. Utilizing this focus will allow you to charge to new boundaries. 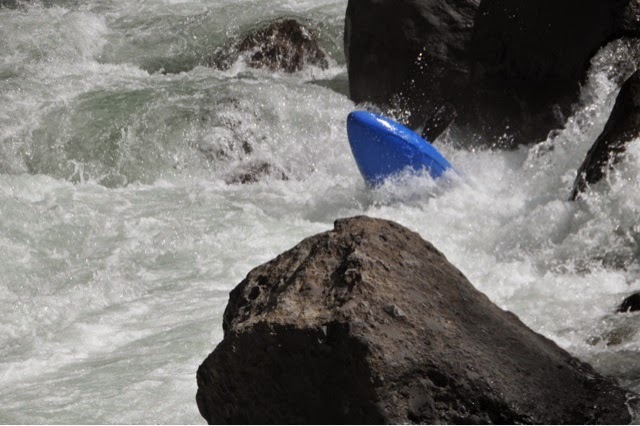 Weighing the rational, logical and physical aspects of a rapid, you can begin to not only run rapids, but feel them, bringing your charging abilities to new heights. For example, let’s take a pour over boof. Starting out you always avoid, glancing over at the hole with a look of disgust. After a while you’ve progressed a little and that same boof is looking good. 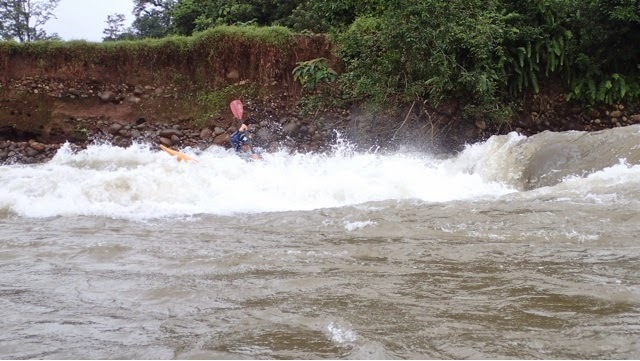 You know that downstream is calm and that the worst is maybe you surf, maybe you swim. You weigh the reasonable consequences. You start charging the boof! As time passes and your connection with the river and your freed mind grows stronger, you push to find even newer and more challenging lines to run your boof on your hometown run, or that new trick in the play hole. 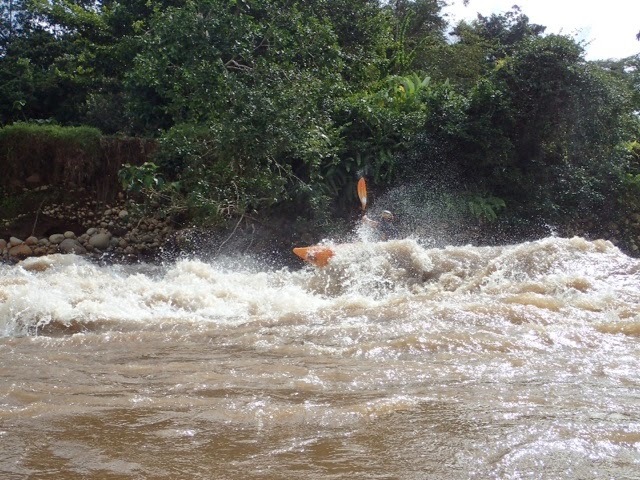 Our objective as paddlers is to enjoy ourselves, our friends and the river. If you find yourself in a state of terror, anxiety or personal disappointment, take a step back to breathe, relax and find your focus again. There is no shame in knowing your comfort levels. Basically anyone can roll, make a forward stroke and float. So, what separates you from the pros? Simple, that Zen approach to kayaking. They have mastered how to separate their other life and the one they are living while running rivers. They don’t think, they do. They do it calmly and with focus. Upon running a new rapid they measure the difficulty and the consequence, the good lines and the bad. Normally they do this in a matter of moments. We should all be able to look at a rapid and within moments know if it is for us or not. To be able to see the line and be able to separate what is real and what isn’t. To access the consequences and our abilities to make the right decision. Then to get in our boat, leave everything behind and become one with our focus, with the line. 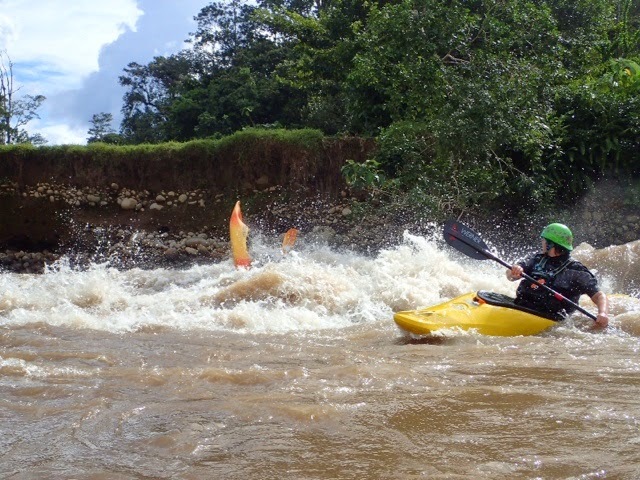 Kayaking is a Zen sport that affords the opportunities of challenge and adrenaline. Find a path that works for you. Find a way to obtain that mental clarity. Find a group that makes you comfortable, that supports you and doesn’t push your limits unreasonably. Find these things and watch your horizons grow broader, your waves grow taller, your confidence grow stronger, your inner peace grow deeper.